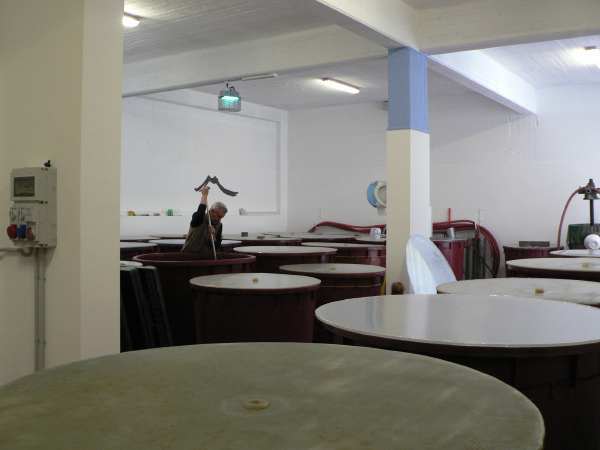 Frank Cornelissen – 2010 News – Our 10th Anniversary Harvest! Frank was kind enough to send me this email and allow me to post it here for my readers. Thank you Frank. The picking of the 2010 harvest finished on November 1st. A special harvest in many ways for me. First of all as this is my 10th harvest (we survived the huge financial and economic risks), second as this was probably the most difficult one so far because of the risks of loosing over half of the crop (but we didn’t!) and third because of the new cellar we have inaugurated with this harvest (the extra space was a blessing!). 2010 was dominated by a lot of rain since the beginning of the season; a lot of vegetation resulted in vines with more vigor than usual, needing more canopy management, especially the vineyards in the lower quotes. The high vineyards did very well in terms of extra water overall during the year and this was a blessing for the vines. The summer was dry as usual and the ripening this year was accelerated over this period. Autumn was epic in terms of excessive humidity. Most of all we lacked the classic winds this year that keep the air dry; nights and mornings were dominated by humidity and the extra rain showers weren’t a help. The difficulty in keeping grapes healthy was great and monitoring and cleaning to push to ripeness was extremely demanding this year with long days in the vineyards and even longer nights in the cellar. 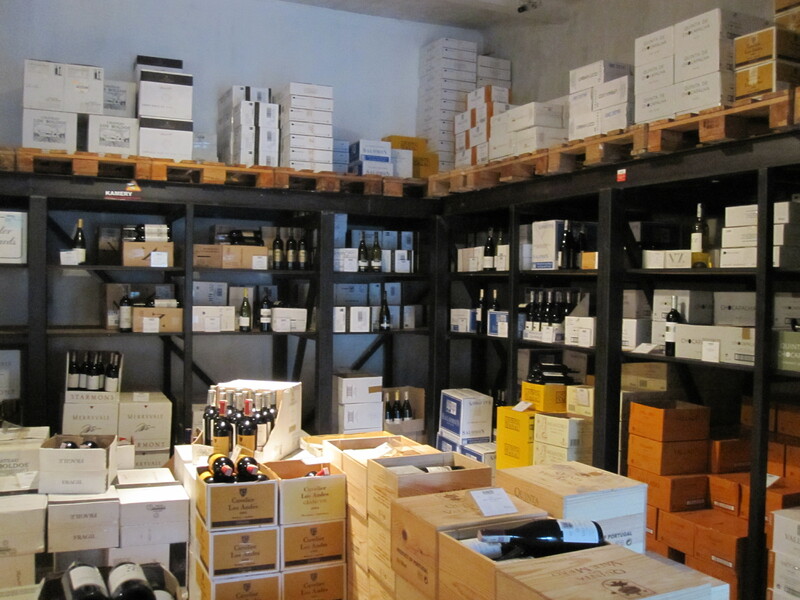 The new cellar with more space to work in an ordered and cleanly way came at the right moment and was a blessing in these difficult conditions. All is fermenting for the moment and we will be pressing a bit earlier also as the fermentations on the reds are finishing faster than usual. The whites ferment slowly and doesn’t seem to want to stop… The rosato has been produced this year and was separated from the skins on November 7th. We used the running juice only and have 2 anforas aging with the malolactic nearly finished. Another novelty is the arrival of a new person to our crew: Samuel Vinciulli, a graduate in enology who has “passed the test” during our harvest, will stay for two years to join us. Australian-Italian, Sam has worked in many different cellars and will be a welcome help with his positive energy and expertise in the cellar so that we can move into another level of quality and research over the next decade. During the winter period we will finally open our blog to be able to inform our clients and friends of our “works-in-progress”. What?! 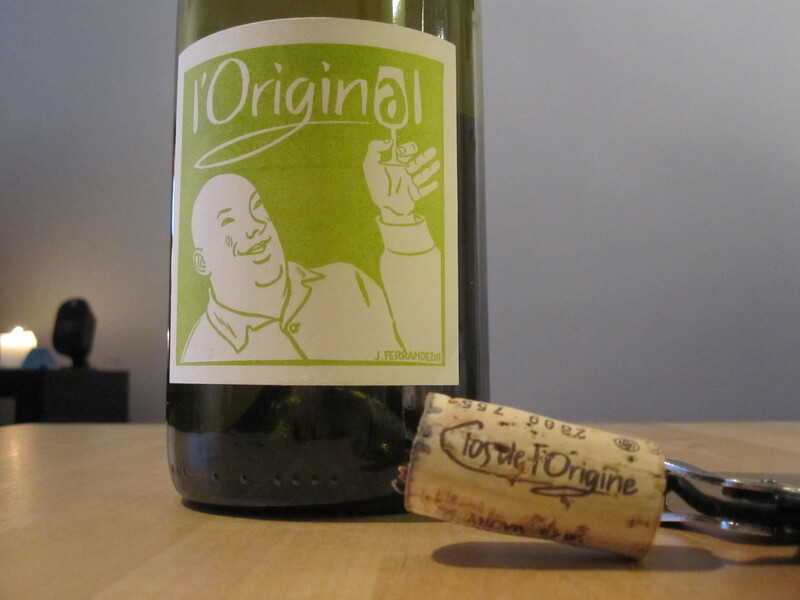 A cooperative making wines without the addition of Sulfur?! Is this possible? Yes it is! The Valli Unite coop in Alessandria, Piemonte was formed over 30 years ago by three men who merged their vineyards and built stalls for their farm animals in order to use organic manure. 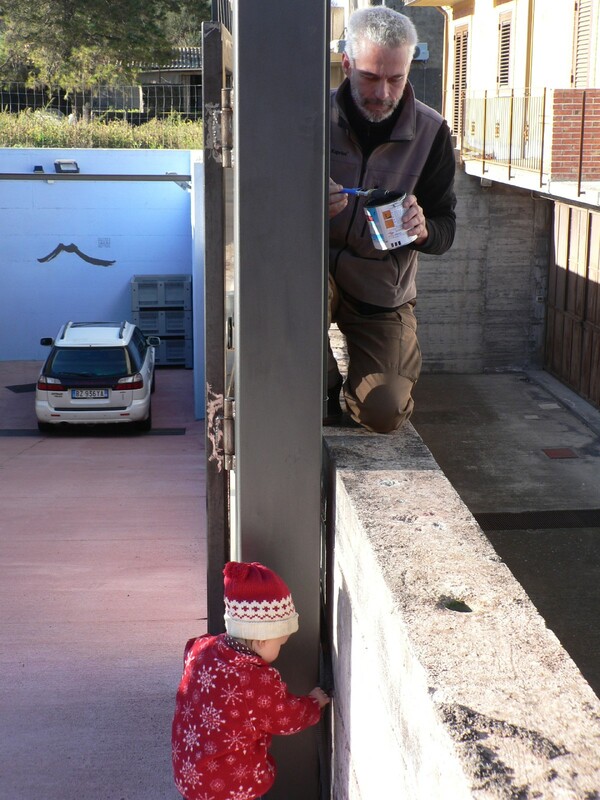 They saw organic farming as the way of the future, and from this was born the Valli Unite coop. Appearance: Dark purple with light purple edges. Great color extraction and very young in appearance. 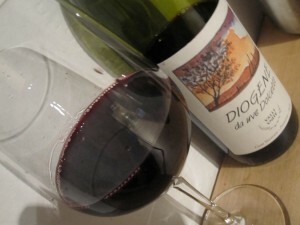 Nose: Dark berries, especially black berries with fresh red fruits in the background. «frutti di bosco» (forest berries). 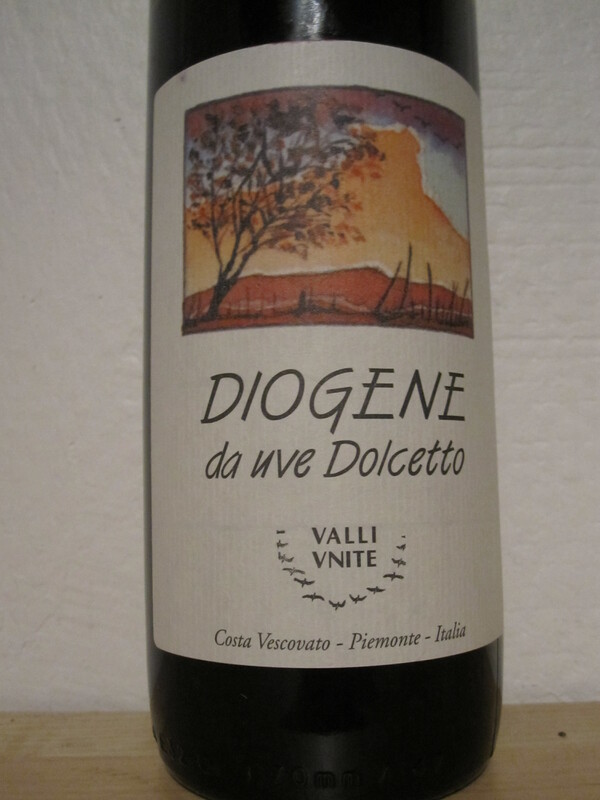 Slightly reductive… will decant… purple gooseberries and hints of barnyard and crushed, dried leafs. Smells like a freshly fermented wine. Palate: slight fizz on the tongue, very slight. 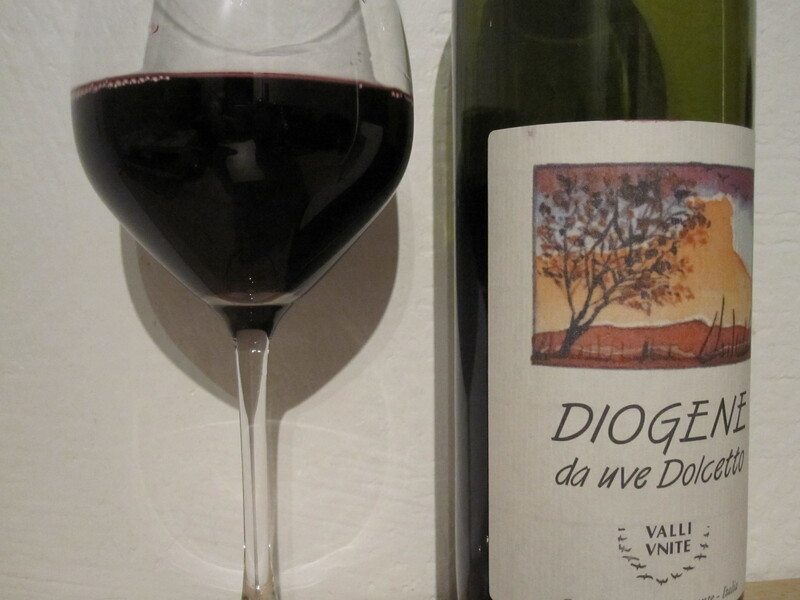 Frutti di bosco all the way with tremendous structure, medium (ripe) acidity and gripping tannins. Medium length finish (approx 20 seconds). A very structured wine that has lot’s of mouth feel. I don’t mean «velvety» – rather chewy, rustic and a bit «rough». Well integrated 13.5% alcohol. Not an elegant wine, but a very honest wine which begs for grilled sausage. Nose: The wine is much more floral (roses) now then before. The reductive notes have fallen to the background and are no longer as noticeable. Palate: some sour red plums on the finish now. Tannins have stepped up a bit and now dominate a bit. 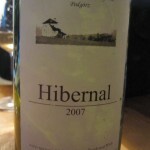 Palate: Still has very grippy tannins, really feels like you are chewing on the pips of the freshly picked grapes. Pure fruit quality in my opinion. Mostly dark berries, but yet a fresh wine. Hints of licorice and dried leafs. Again, really strong character of pure grapes and the pips. Really more open then yesterday. A slightly bitter finish. Really enjoying this wine today – just like eating the grapes off the vine. Picture this – you walk into a vineyard and grab a handful, and I mean a handful, of healthy, ripe dolcetto grapes and just pop them in your mouth. This should give the idea of the how this wine is every time I take a sip. This is one unsulfured wines which I feel could benefit from some storage – let’s say a year or two? And you know I love my wines young. Nose: More earth and dark berries. Hints of lavender. Alcohol also more noticeable on the nose than it was in previous days. Palate: A bit rounder today. Tannins softened a bit. The finish is a bit more leafy. Just as fresh as the first day opened, but the tannins seem a bit more integrated today and the finish is more «almondy» now, which I love. Alcohol still not noticeable on the palate, well integrated. I drank the last glass and a half with a homemade burger topped with white cheddar, caramelized onions and avocado… gotta say that the wine was a bit too much for the burger, even with the cheese and onions. Although Dolcetto’s are often paired with «carne cruda» (or beef tartare) with the raw egg and the fixings in Piemonte, this dolcetto would be too much in my opinion. 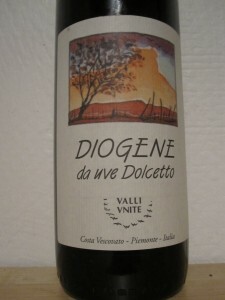 Try this wine with another Piemontese speciality, fresh pasta with rabbit ragu. Or if you are in Norway, like I am, try with some duck confit. With the wild flavors of the duck, this wine should pair well. 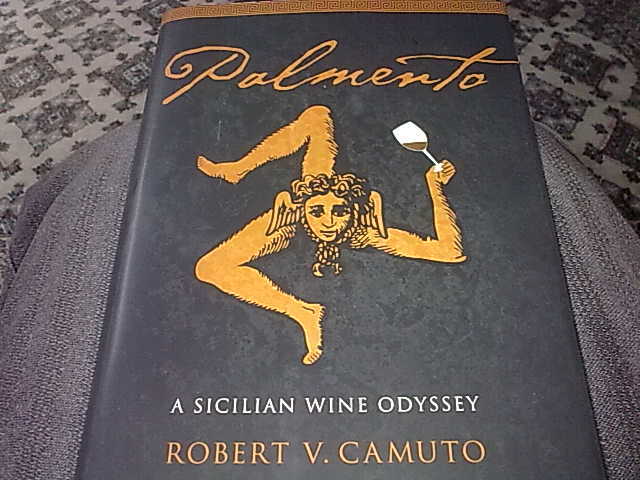 Robert Camuto's Book, "Palmento" – A Quick "Tasting Note"
Robert Camuto’s Palmento is a journey through Sicily that describes the landscape, people, lifestyle, personality, generosity, cuisine and even the mafia of Sicily all between two hard covers. Oh, and did I mention that the book is also about wine? For me reading Palmento was like watching the movie Sideways. An entertaining book about wine and at the same time, not only about wine. Sideways was fun to watch if you weren’t into wine, just like the book is entertaining to read weather you’re into wine or not. Follow Robert through his Sicilian adventures and misadventures making you eager to want to to see how it ends and at the same time, you just don’t want it to. If you’re like me and are passionate about wine, then you might know that the book’s title Palmento, refers to «traditional stone wineries with massive wood lever presses» that were used in wine making in Sicily generations ago, and can still be seen strewn around Sicily like old abandoned bicycles in Amsterdam. For those of us not familiar with the Palmenti, and don’t care, then the title simply sounds like an Italian name for something charming, and indeed the book is just that, charming. If you’re into wine, then you should read this book. It has enough wine information about some of the most interesting wine makers in Sicily to keep your attention. The book welcomes you into their homes, lives and wine making techniques. This book is also for those of you that like to travel, and actually feel like you are doing so through the eyes of the author. But be warned, you will often find yourself salivating as if you were the one actually traveling and eating your way through Sicily. If you like my revue, then you will like the book because I don’t write nearly as well as Roberto Camuto does. A must read…. for everyone. I couldn’t put it down. “Go Orange!” is the theme here. After more than a few years including my orange wines neatly hidden among it’s white counterparts, i have finally decided to create an orange wine section all of its own. 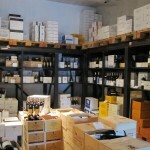 You will find the orange wines listed after the whites and before the rosé’s. I should also include my definition of orange wine here. In order for a wine made with white grapes to be included in my orange wine section, it should have at least 48 hours of skin contact. In some instances this is enough to give the wines their orange-hued color earning their “orange” name. In other’s, it’s just enough contact to give the wine a glowing yellow color a few shades darker than your average white. The 2009 Sassaia from Angiolino Maule’s La Biancara is an example of this. Just 48 hours of skin contact gives this wine a glowing yellow, almost orangish color, and is therefore included in my orange wine section. An unsulfured and spectacular wine, I love it. Look for a tasting note on it soon. Along with some of the rarities you’ll find in the new orange wine section, there are some other new wines i should mention here. Like my first 100 % Merlot wine, the Rosso Masieri. Also produced by the outstanding natural wine maker Angiolino Maule of La Biancara (the same guy who makes the Sassaia named above). 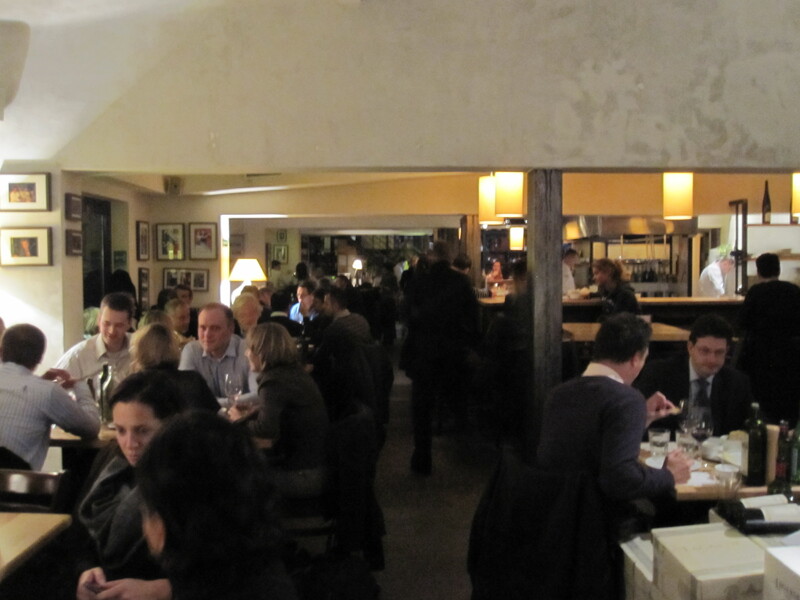 Some new wines and vintages from Jean-Pierre Robinot also made it onto the wine list, like his 2009’s Concerto & Regard along with two sparklers – all unsulfured of course. Some interesting wines from Henri Milan, both white and red, from Provence. A couple of new Sassella Magnums from Ar.Pe.Pe in Lombardia. A couple of new Spanish titles, including one from the island of Tenerife. I have also added the “Four Thirteen” wine from A Donkey & Goat winery in Berkley California – my only California wine on the wine list! Named “Four Thirteen” because the wine is made with 4 of the 13 allowed Southern Rhône grape varieties. 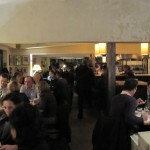 Click on the Donkey & Goat bottle below to view the most recent wine list. I just wanted to post a list of things that I believe in. These are just my beliefs, and are not necessarily truths for you. They are merely my strong opinions and may not reflect yours. Wine comes in all colors: white; orange; rosé; red….etc. 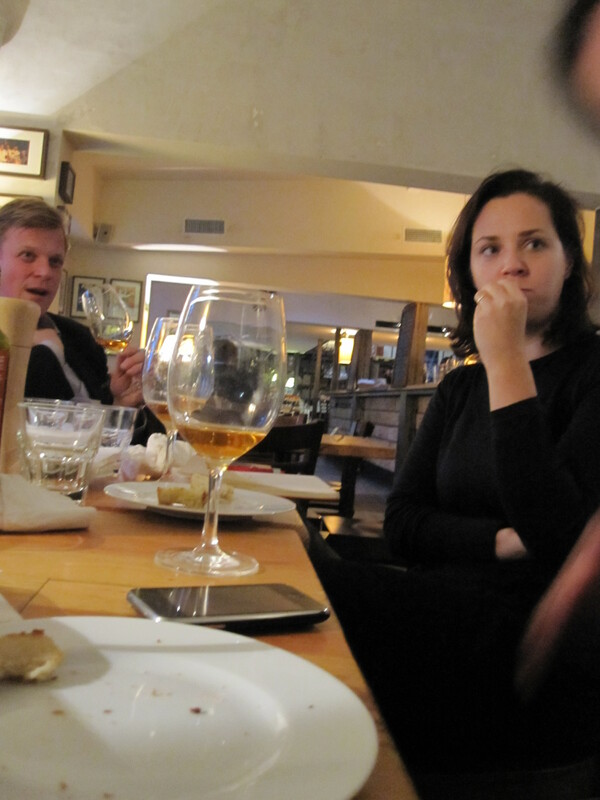 I recently had the opportunity to meet with some wine enthusiasts in Warsaw, Poland. 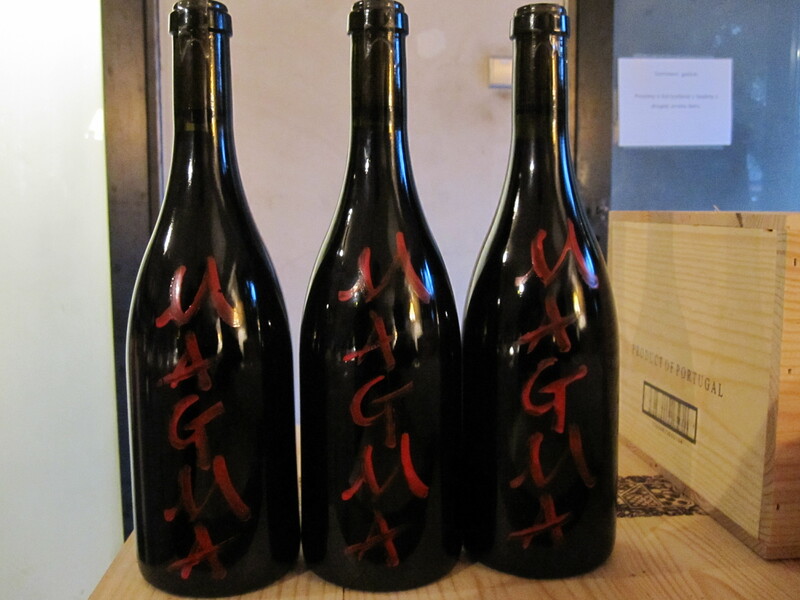 I didn’t know what to expect before the meeting except the fact that I had promised to bring 3 bottles of Magma and that they were extremely interested in tasting them. 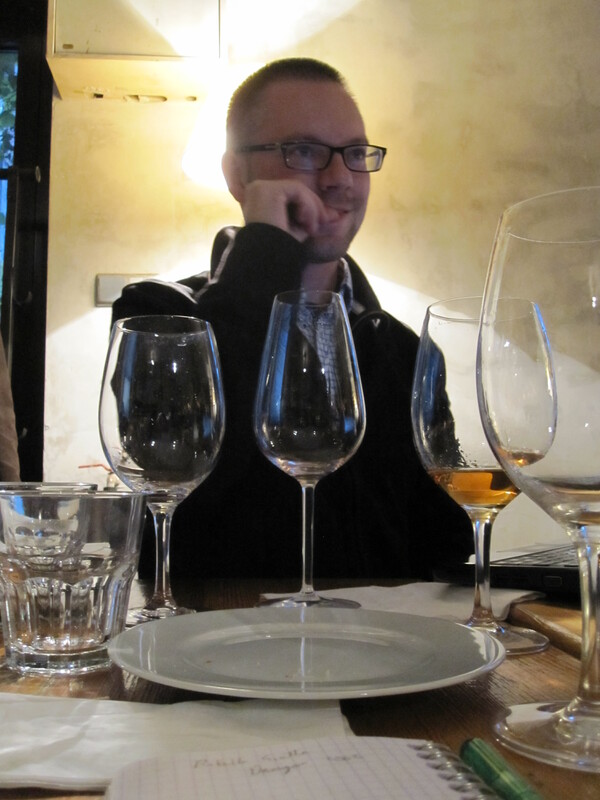 On their part there was the promise to taste some Josko Gravner which also gave me something to look forward to. I have to admit that most of my wine knowledge and experience have been gained living in Norway over the last 7 or so years. 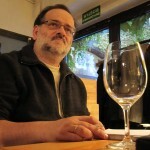 I have tasted among whom I consider to be some of the best wine tasters I have seen. 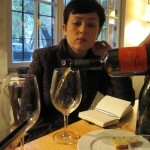 Norwegians have refined palates and an amazing ability to analyze wine. I certainly feel privileged to have earned my experience in this country. This being said, I was blown away by the tasting abilities of the small group that was gathered at Mielżyński’s for this tasting. In a country that is jumping economically by leaps and bounds, most of it in the last two decades, it is still more common to see large commercial brands dominating the market. This year I have witnessed wine shops opening up like mushrooms popping up after a rainfall, and often disappearing as quickly as those prized mushrooms. It was certainly a breath of fresh air, and of relief, to meet with such a group that not only had accumulated enormous wine knowledge, but who also seemed to really understand and enjoy wine without being captivated by a label, and have been doing so for years. 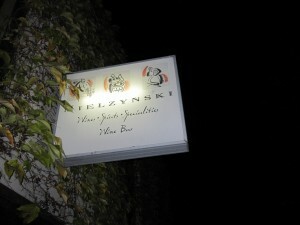 We met at Mielżyński’s, a warehouse of sorts that is an import company, a warehouse, distribution center, wine bar and restaurant. 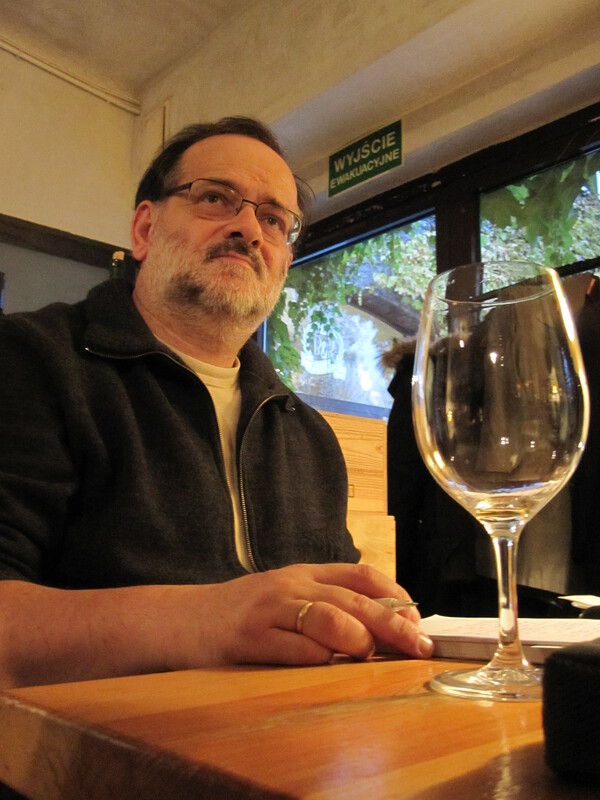 A concept founded by Robert Mielżyński, born in Canada, studied Oenology in Fresno, California, then moved back to his native Poland. A concept that seems to be working well for Robert judging by the fact that it was a Monday night and there were no empty tables. 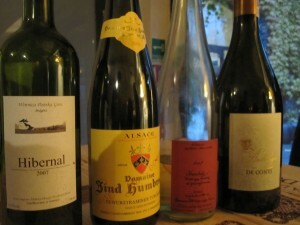 The wine selection was quite diverse ranging from Domaine de Chevalier to Frédéric Magnien to Allesverloren. There was no wine list, just cases and cases of wine that you can pick and grab yourself, or have somebody help you with your selection. Having lived in Norway for over 7 years now (where the government-run wine monopoly system is in full force), it has been a while since I have seen a place that you could buy wine to drink there or take-away. The dinner menu was presented to us on a portable chalk board, like you might see in a Paris bistro, and included simple (and delicious) dishes like pumpkin soup, Cornish game hen and a couple of pasta dishes. We started with a wine produced in Poland. A wine made not with grapes from the Vitis Vinifera species of vines responsible for almost every bottle of wine we consume, but rather from the crossing of the Vitis Labrasca family and Vitis Vinifera. The grape was called Hibernal, a white variety developed in Germany derived from a Seibel 7053 (V. Labrasca) & Riesling (V. Vinifera) cross. An interesting wine made by a winery owned by Katarzyna Niemyjska and her husband with grapes from organic vineyards a few hours south of Warsaw. On the nose the wine was slightly reductive at first, but with some swirling of the glass, the wine had smoky, mineral notes with light scents of lemons and herbs, most noticeably basil. On the palate, lemons and bitter oranges, minerals and chalk. A bone dry wine with a nice acidic back bone and a slightly bitter finish. A fine and very interesting wine. We then tasted good efforts from Zind Humbrecht, La Stoppa, Ostertag and Chateau Tour des Gendres. We then moved on to some astounding wines from Josko Gravner. A 2000 Ribolla Gialla aged in Botti followed by a 2001 Ribolla Gialla in Amphora. The difference from one wine to the next was astounding. The 2001 Amphora version of the Ribolla had layers and layers of complex aromas and nuances that the 2000 just didn’t have. 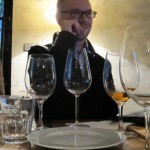 Botti versus Amphora OR 2000 versus 2001? You tell me…. 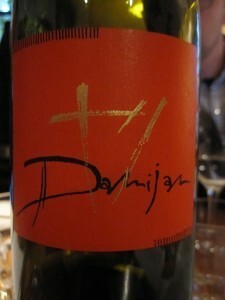 We moved on to the Damijan Ribolla Gialla 2002 from Friuli Venezia-Giulia, on the border of Slovenia. 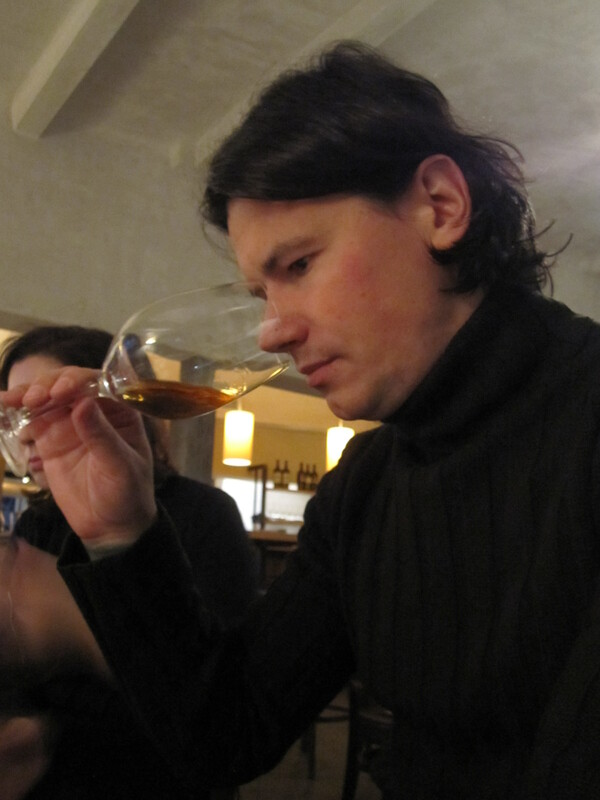 Damijan Podversic pursues natural winemaking, which he learned from the aforementioned, great Friulian producer Josko Gravner. He releases his vintages only when he deems them ready. This was an intriguing effort from a not so intriguing vintage. A skin macerated Ribolla, fermented only with indigenous yeasts, with a structure to rival most red wines yet fresh enough to quaff even the most thirsty wine drinker. This was my first time tasting the wines of Damijan and I look forward to the next. There is very likely a bright future for Damijan Podversic. 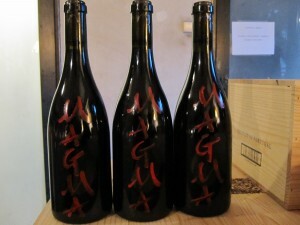 We completed the tasting with 3 versions of Frank Cornelissen’s Magma 2. 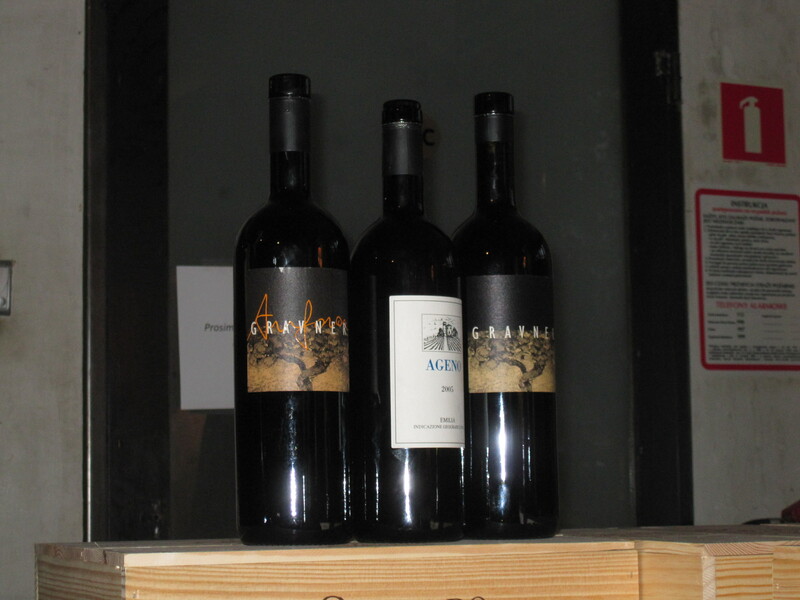 All hailing from the 2002 vintage, each bottle representing a different Contrada. 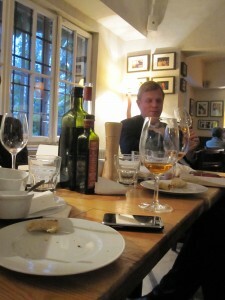 We tasted the Marchesa, the Calderara and the Trefiletti. All three wines showed extremely well, with the Marchesa being my favorite. According to Frank, the Marchesa comes from the part of the vineyard that is normally very sun exposed and has a good balance between tannins and density. The alcohol is rather low (13,7%) on this wine in this vintage. The grapes were harvested on November 2nd and 504 bottles were produced. 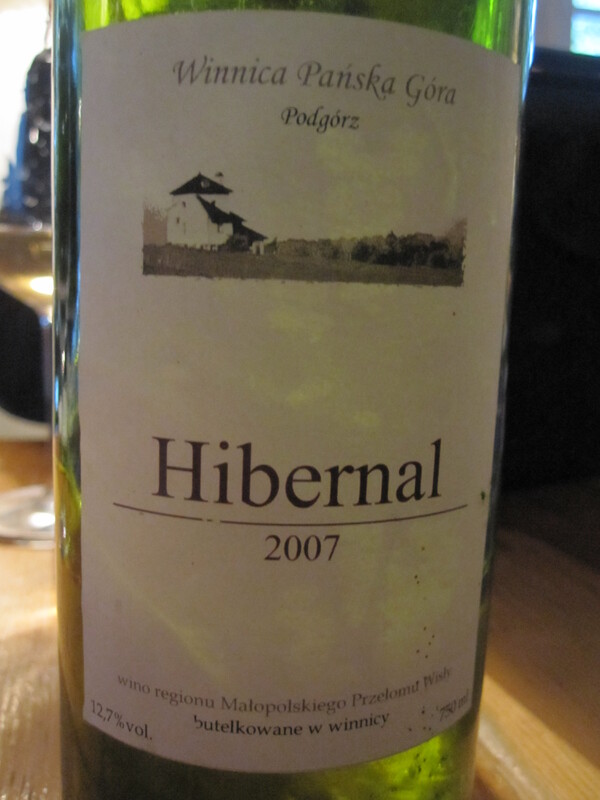 Light red with very little age showing considering this was an 8 year-old wine made without the use of sulfur. None to very little browning on the edges. Extremely youthful on the palate as well, with even a slight “spritz” on the tongue like you might find in a wine bottled within the last 12 months. Very Poulsard-like fruit (think Overnoy here and you might get the idea), medium ripe acidity and tannins that increased with some time in the glass. A delicious wine with tons of drinkability. The Calderara comes from a vineyard that is very stony and sun exposed. In a cool vintage like 2002, the fragrances are very Pinot like according to Frank. In general this contrada produces very high alcohol wines when picked ripe. Harvested on November 1st, 297 bottles produced. This wine on the other hand showed its more serious side with hints of meat and herbs. The tannins held longer and the wine was darker and more “masculine” compared to the sensual femininity of the Marchesa. The Trefiletti vineyard is located in Rovitello and is difficult to push to ripeness without losing all fruit due to rot (grey as well as noble). “This is the only time I have been able to produce Magma there due to the above mentioned climatic difficulties. I love this place for its balanced tannins, structure and elegance when all odds and ends fall together in one vintage, like 2002 pushing all limits”. Harvested October 30th, 515 bottles produced. This bottle was the most advanced of the three wines and showed it’s higher alcohol (14,4%) a bit on the tongue with hints of olives and truffles not found on the other two Magmas. 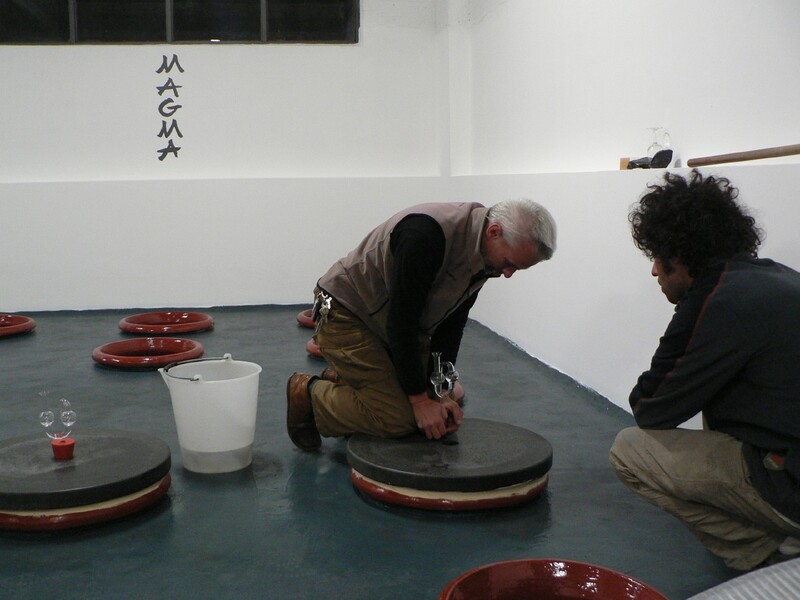 When sharing my tasting notes of the Magmas with Frank, he came back with this: “This is by far the most evolved set of wines I have ever produced. Beside this fact, I have always thought the Calderara was the most feminin/Burgundian of the three. Less tannic than for example the Marchesa which always needed a bit more time. 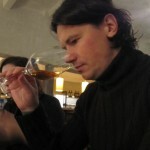 This day in Warsaw, amongst such people and great wines, created a warmth inside that helped me feel at home in Poland.